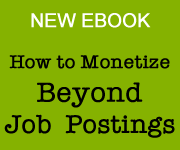 Keith Potts and others from Talenetic, Social-Hire and Digi-Me hosted a webinar recently about job baord marketing. Its got some good tips for any job baord own so I wanted to share. Recently on Facebook I decided to look for job related hashtags to find leads for one of my clients. In this case I am looking for people posting #javajobs – once found, I simply write a short personalized comment and provide a link. Give something like this a try. It may or may or may not payoff, but it’s worth a shot to keep your leads coming in. WayUp, the job board for college students, got some students at NJIT to record a rap video touting their site. Excellent piece of Guerilla marketing that I had to share. At a recent conference I was speaking to one job startup founder about content marketing. He was lamenting on his marketing challenges and asked me for some advice. “Are you doing any content marketing?” I asked. “Some“, he said. “Buts its very time consuming and I’m not very good at it“. Yes thats right. There are no shortcuts in content marketing. It takes effort and time. But it’s a necessity in today’s marketing landscape. Get used to it! I see a lot of job boards and other HR tech startups struggle with content marketing. The best ones treat their blogs as news outlets that help educate their audience (both job seeker and employer). Ironically SimplyHired has a great blog which I have always pointed to as a good example. Other companies that do a good job with content marketing are SmartRecruiters, Job Monkey and Lever. 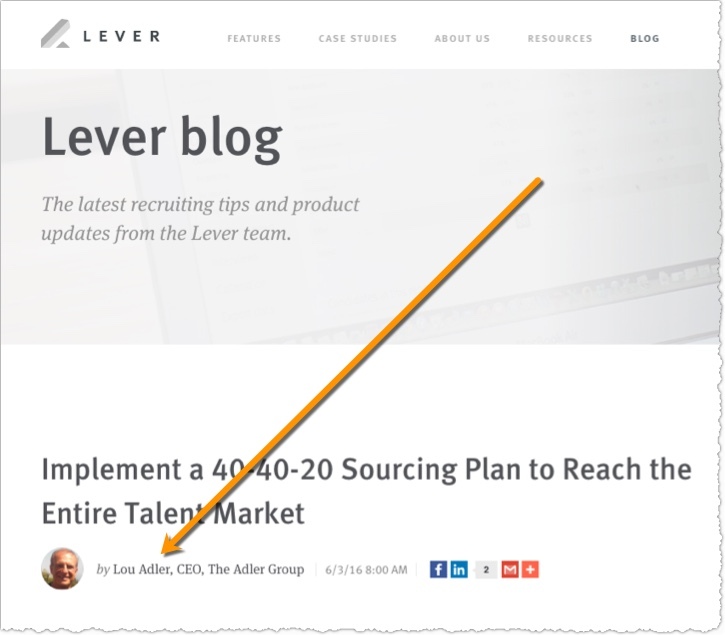 Lever even courts guest posts from recruiting luminaries such as Lou Adler. Experts like that bring traffic. 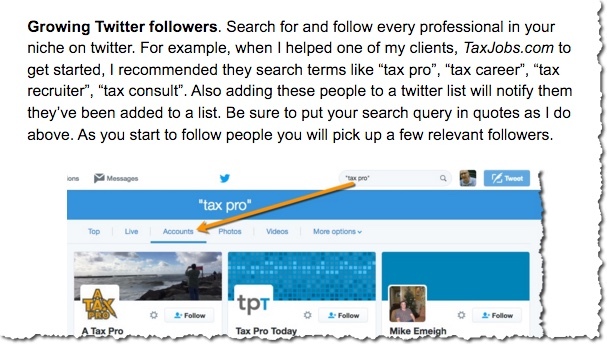 You would do well to follow these examples. Most good blogs publish every day. They educate their readers and add value. If your job board or other startup can’t, or are unwilling, to engage a similar strategy then you are only hurting yourself. It’s time you got serious about content. To sell online today means writing and sharing relevant content. If you can’t write yourself, hire a recruiter or career coach who likes to write. Yes it costs money, yes it takes time. But it works. Last week I published my newest ebook. 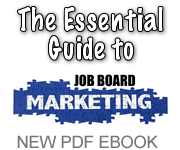 The Essential Guide to Job Board Marketing. It is a jam packed PDF download with tons of my best marketing advice. It’s yours for thirty bucks and I guarantee you’ll like what’s in it. Below is an excerpt and screen shots from what’s inside. 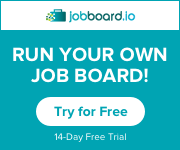 I wrote it for the newbie, as it answers a lot of the common questions I get around marketing and promoting a job board. The book is available from my Gumroad library. Marketing a job board today takes an A to Z approach and a solid knowledge of internet marketing techniques. Many new job board owners fail to understand the importance of internet marketing when it comes to launching and growing their sites. But I can tell you that it is imperative for job boards to understand and master the internet marketing landscape, especially social media and content creation. Humanizing your business is equally important. 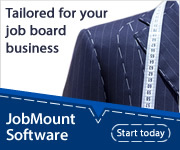 I believe job boards should show the faces of the people behind it. 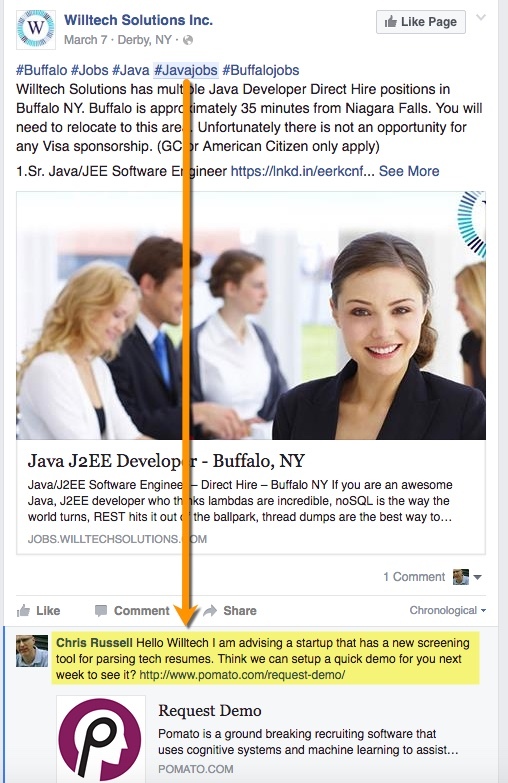 Make a point to get to know the people who post jobs. Personalize your relationship with them. The more you connect with them, the more they will come back and post again. Build loyalty with your customers. One job board I know calls each customer shortly after they post a job to set their expectations and answer any questions. Marketing also means having a great design. Great design is a marketing tactic. It helps to gain users trust more quickly when your site is intuitive and looks great. Don’t skimp on design. Get yourself a good logo and make it easy to post jobs or look for them. 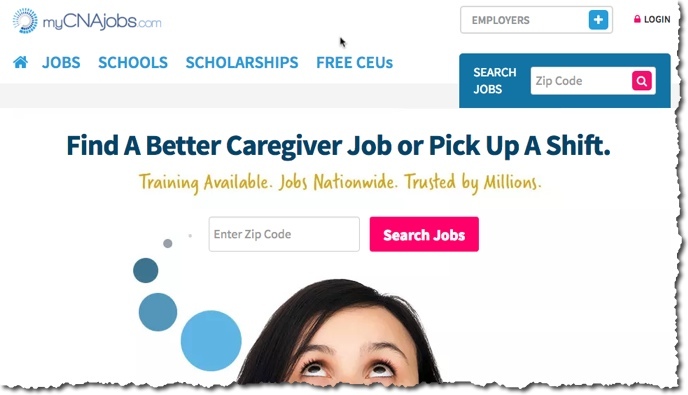 MyCNAjobs.com is an example of great web design among job boards. When it comes to attracting HR pros and recruiters, use content marketing to draw them in. Write about ways to help them recruit better such as how to craft a great job description or a piece on social recruiting tips. Educate them on your niche about industry trends in jobs and salaries. Become a valuable resource and gain mindshare. 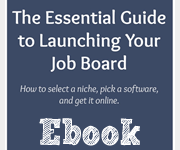 Up next: my third ebook will be how to start and launch your job board from picking the right niche to software selection and getting started tips. Look for it in May. Just noticed this press release the other day. A new company is set to challenge Recruitics in helping make your spend on the aggregators more efficient. If you already spend thousands with the aggregators buying traffic, these services make your spend more efficient. 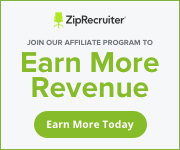 NEW YORK, March 10, 2016 /PRNewswire/ — Ripple Media Group, a New York-based recruitment media buying team, announced today its intent to partner with major and niche online job boards. Ripple works with the leading traffic providers, while leveraging big data and programmatic tools, to drive greater traffic buy performance. Ripple’s team of media traders take the difficult and costly task of buying traffic off of job boards’ hands. The group employs economically-minded experts to programmatically manage these buys. It leverages the power of industry-leading platforms, including Clickcast, to trade traffic in real time. Because of Ripple’s immense buying power, it has created unique traffic source relationships that are otherwise unattainable by single job boards. “No single platform, nor set of data, nor source of traffic is the end solution. It takes incredibly smart people to manage these tools and sources to produce optimal results,” notes Leigh. 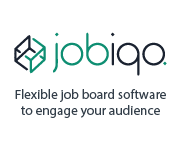 Job boards looking to engage with Ripple can get up and running within hours. Interested parties can request a meeting with kyle@ripplemedia.io or visit in-person April 16th – 17th at 2016’s TAtech Industry Conference in Orlando, Florida: http://tatech.org/event/tatech-industry-congress/. Ripple is a recruitment media buying group. 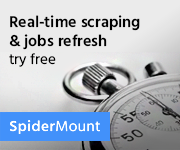 Its team plans, buys, and manages programmatic media for job boards of all shapes and sizes. Ripple’s 1,000s of media partners are supported by its expert traffic traders. Ripple is headquartered in the trading capital of New York City. 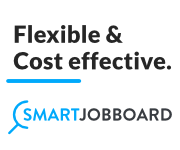 For more information, visit http://www.ripplemedia.io/job-boards. Kyle built Bayard Advertising’s programmatic offering from a $1,000 trial to an 8-figure staple of business. He quickly saw the potential to take a similar model to the rest of the industry with Ripple. He currently lives in New York City with his Border Collie (and Ripple COO), Ziggy. Part of what I do as a consultant in the online recruiting industry is to raise awareness of my clients among recruiters and employers. Over the years I have amassed a strong network of followers who like what I share and write. I’ve also built several email lists and groups of recruiters that I can quickly get your name in front of. Think of me as your brand evangelist. 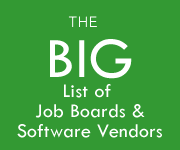 I help both job boards and other types of recruiting tech companies who want to target recruiters and employers. So I’m now offering a simple, affordable public relations product to do just that. Using my various channels and lists I will personally introduce your site/service to a minimum of 10,000 recruiters and HR professionals. Your PR Boost starts with a custom written article which I’ll be publishing on my LinkedIn Pulse account. 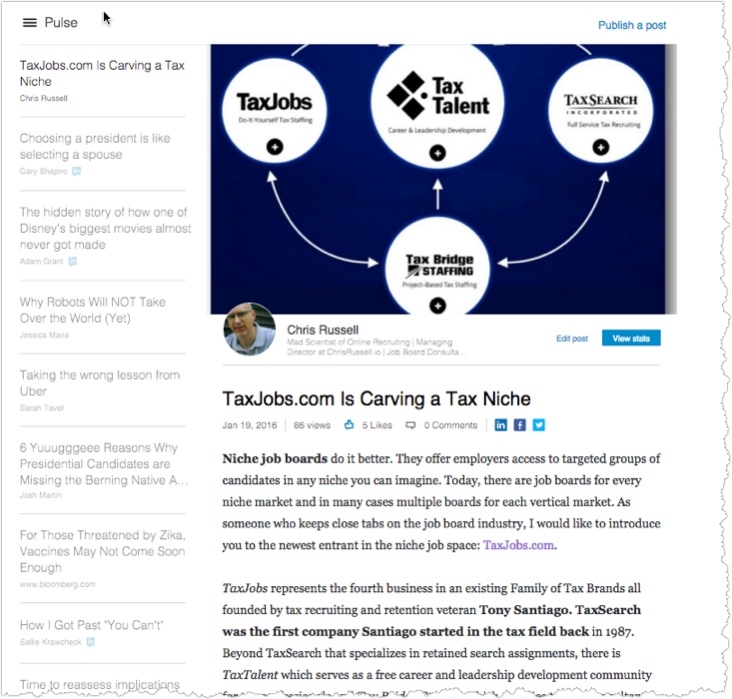 Like this this one I wrote for TaxJobs. From there I will share it across various groups on Facebook and LI that target recruiters. Then I’ll email it to a variety of opt-in email lists which I’ve been curating for many years online. All of this happens over the course of two weeks to maximize exposure and raise awareness of your brand. SEO boost: I will end up getting you several back links from related websites that will help increase your Google ranking. Traffic: My PR efforts will result in more quality, employer traffic coming to your landing page or site. Branding: Introducing your name to a large group of recruiters/employers will help establish you in the marketplace. This is particularly useful for new vendors who are not well known yet. So if your site or service could use a PR Boost then let me know.